WELCOME to the Irish-American (IRISH-AMERICAN-L) Discussion List. This is a discussion area for anyone who has an interest in the Genealogy, History, Culture or anything related to the Irish immigration to the United States. If your ancestor(s) lived or even just passed through America, they have a special type of culture. The fun part of the list is figuring our what part or our traditions originated in Ireland or originated in the USA. Because of the many different immigrants all living in poor neighborhoods when they first came over, many of our traditions are a result of the many nationalities living together. This list will be a place where we discuss those traditions that include holidays, recipes, music, weddings, births, funerals/wakes, etc. Hopefully, in our discourse we will find not only genealogical connections, directions and resources but also where our family traditions started and which are pure Irish, which are Irish American or which are the result of that wonderful melting pot, the United States of America. 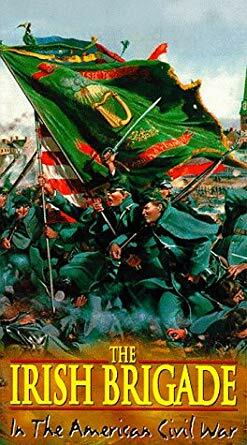 Another interesting aspect of the Irish immigration is how they migrated through out the United States. While most landed in New York City or Boston and some stayed in those areas, many branched out across the country. It is a coincidence that gold was discovered in California in 1849 just at the height of the Famine migration. The Irish were instrumental in the building of the USA's infrastructure which included canals, bridges and the trans-continental railroad. It is hopeful that this list will explore all these areas and more. This is the main site for the mailing list. It includes instructions on how to subscribe and unsubscribe to the list and other addresses that will be helpful for the IRISH-AMERICAN lister. There are guidelines for the list, links for both areas, links for Ireland, links for the United States and other interesting information. Once the list gets moving, a surname registry will be added, along with other pages as the need develops. and you will not be unsubscribed. They must be sent to the above addresses. D Subscription = You a group of messages about once a day (digest). Please remember that it helps to put something in the "subject line". Many people delete messages without any subject. Accuracy is important and sources are vital. Ancestor lists are worthless if the information is wrong. 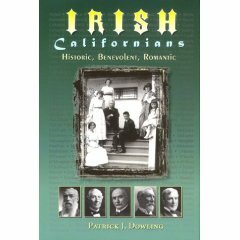 This list is for the discussion of the Genealogy, Culture and History of Irish Americans. Discussion of surnames, migration patterns, immigration, heraldry, historical sketches, settlements, census data, wills, family Bibles, vital records, web sites, etc. is encouraged. Do not post test messages, chain letters, political/religious announcements or views, current events, items for sale, personal messages, etc. If you receive a virus message from the computer of someone on the list, do NOT post their name and address to the list. Inform me and I'll unsub them and help them get the help they need to clean their computer. 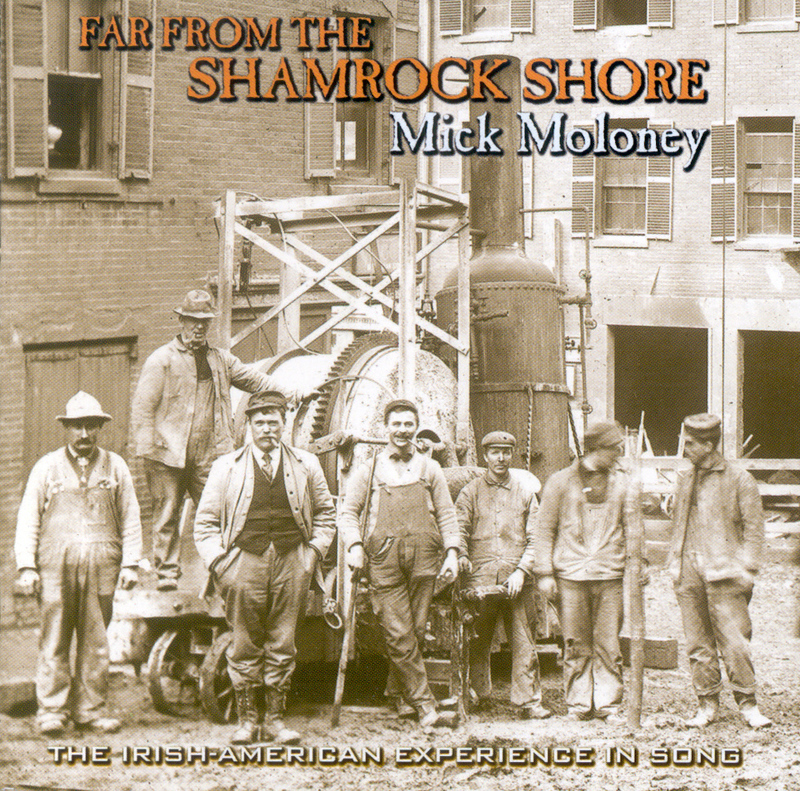 In this fascinating and richly illustrated history, Dermot Quinn calls upon a remarkable treasury of photographs and newspaper clippings that uncover the story of how the Irish of New Jersey maintained their proud heritage while also embracing their role in laying the foundations for the social, economic, political, and religious landscapes of the country they now called home. 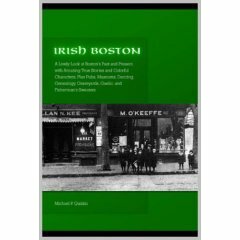 Little-known stories and larger-than-life characters that people the 300-plus years of Boston Irish history, complete with detailed information on places to go, drink, and shop! The Butte Irish, examines the development of Butte, Montana, as an Irish town, tracing the story from the Potato Famine to about 1925. 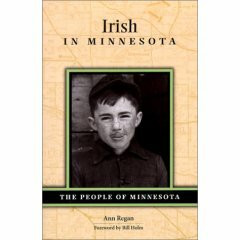 He focuses on two major questions: (a) What made Butte such a popular destination for Irish immigrants, both directly from Ireland and from other Irish areas of the US? and, (b) How did the development of an Irish enclave in Butte affect the development of the city? The history of the Irish in Chicago goes back to the days when the city was little more than an outpost on the prairie shores of Lake Michigan. Drawn by opportunities in the growing frontier town, Irish men and women who were fleeing economic hardship and famine in Ireland were quick to make their mark on Chicago's political, religious, and economic life. This book is about an immigrant group and its assimiliation into California life and society. The many stories told in the book affirm that optimism and hard-work go a long way in a wide-open and prosperous place like California. Most of the people whose stories are told in this book started out with little or nothing, and yet achieved greatness through their own perseverance and boundless energy. The Puget Sound area has been greatly influenced by the Irish, and while many of the names and events are familiar, until now, their Irish connections were rarely acknowledged. Judge Thomas Burke, “The Man who Built Seattle,” had Irish parents. So did Washington’s second governor, John Harte McGraw. John Collins, who left Ireland at the tender age of 10 to seek his fame and fortune, became Seattle’s fourth mayor. “The Mercer Girls” included Irish women who came west to Seattle. This fascinating retrospective pays tribute to the first- and second-generation Irish who lived in the Puget Sound region over the past 150 years and who contributed to Seattle’s growth. In more than 200 photographs and illustrations, this book chronicles the contributions of the Irish to an area whose landscape and climate reminded them of home.